We used the very last of our leftovers from our April wedding (where we were lucky enough to have Phil’s BBQ cater) to make this sandwich. And… It’s magnificent! I’ve been trying for weeks now to get my workplace to order Phil’s BBQ for lunch, but they’re “saving it for a special occasion.” Oh those fools, don’t they know that every time you eat at Phil’s, it’s a special occasion? OK, enough with the ranting, I never knew I would become such a fan of BBQ, but there you have it. In this sandwich the ‘crunch’ comes from the radish and the micro-greens, and the spice from the cayenne garlic spread we get at the local farmers market. I would like nothing more than to be able to make that darn delicious garlic spread myself, but after having run the food processor for 30 minutes straight, I realized it’s impossible to get the fluffy goodness needed (as well as getting rid of the strong taste of garlic). An industrial blender or puree machine is needed to it, so; farmer’s market is our only solution. 2 tbs cayenne garlic spread. Mince the garlic and blend it with the yogurt. Cut the dill into fine pieces, and add to the yogurt. Blend in the curry and salt and pepper to taste. Cut the focaccia bread in half (across, like a sandwich). Spread 1 tbs garlic spread on the bottom half and toast the bread in a toaster oven until it’s slightly brown and warm throughout. Heat the leftover chicken in an oven covered with a piece of tin foil at 350 degrees for about 18 minutes or until it’s very warm. 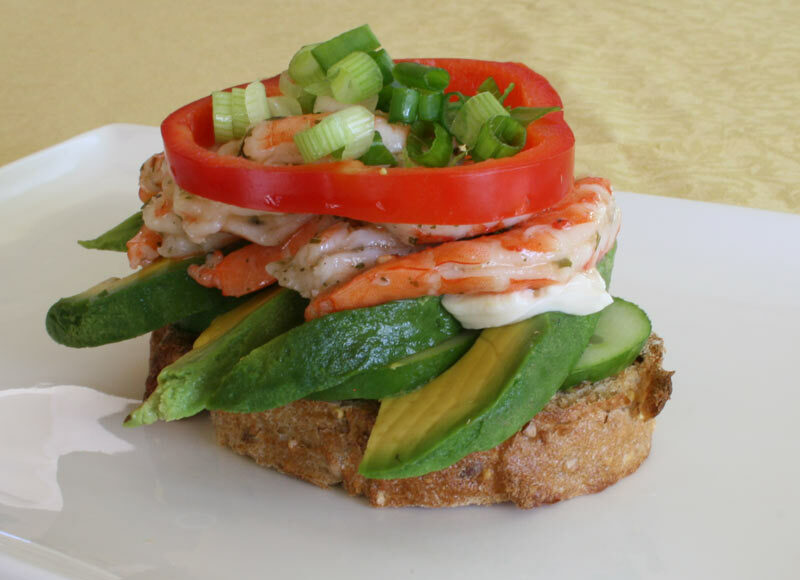 Cut 3-4 slices of red bell pepper and lay it on the bottom part of the sandwich. Cut the radish in slices, and interleave pieces of chicken (no bones) and radish on the red pepper. Spread the yogurt dressing on top, and sprinkle dukkah on it. Top the sandwich with micro-greens. Before closing it, spread the other tablespoon cayenne garlic spread on the top half of the bread (inside obviously :)), then close and eat. As co-owner of Phil’s BBQ, I am both impressed and flattered. I can’t wait to try it. Thank you for choosing Phil’s for your wedding (Once again, flattered).